If you want to perform in a prestigious big stage street dance competition then UK Street Dance Championships is for you. Now in its 11th year, this street dance competition is firmly established as the must-attend event on every dancer’s calendar. 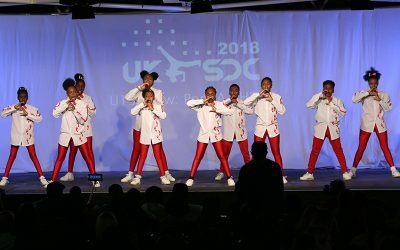 The only UK street dance competition to be hosted on the ‘big stage’, our championships attract large audiences, and have in the past been watched by big names such as ‘Diversity’ and ‘Twist and Pulse’ from Britain’s Got Talent. This competition is for all dancers regardless of ability or experience and if you’re new to the street dance scene and up for the challenge, come along and experience this fantastic event alongside veteran crews competing for the big money prizes. With divisions for Crews and Mega Crews, Duos and individuals in Street Freestyle, Locking, Breakdance and Popping, there is an opportunity for anyone to come along and show off their dance skills to the audience. 2 LEVELS OF COMPETITION: Beginners Plus Category and Intermediate to Advanced Category. If you can’t find what you’re looking for or want to discuss which division is right for you feel free to contact us. We are always glad to help. We hold two big regional street dance championships for all ages and abilities in the UK each year. Our competitions are fun, energetic and welcoming. The competitions start with street-freestyle, followed by duos, crews, locking, popping and breakdance. Come and compete for the medals and prizes at these action packed street dance events. Book onto one of our events below. Competition begins 10.15am. 1,000 seated auditorium facing a very large stage performance area creating an excellent atmosphere. Tickets can be purchased before or on the day of the Competition. Competition begins 9:40am. 1,800 seated auditorium facing a very large stage performance area creating an excellent atmosphere. Attending one of our events? You can view and download the timetable for the day here. The competitions start with Street-Freestyle heats, followed by Duos, Crews, Locking, Popping and Breakdance. All levels are welcome from newcomer to advanced with ages ranging from under 7yrs through to adult. Medals to 1st, 2nd & 3rd places in all categories and winners also receive winners t-shirts! £500 cash prizes goes to the overall winning crew at the big Harrow competition. Congratulations to Steppaz after winning the U9 Crew section, here they are again (pictured) taking Bronze in the U13 Crew section. The School Principle Stacey and their teacher Abena were both very pleased with their results. The big £500 prize money went to OriGen who won the Adult Crew section in a closely fought battle with Novalux and Fatboyz Crews. The routine of the winning crew was choreographed by Munya Muchati. This year’s runner-up in the U17 Crew category were the F Crew from Hertfordshire, showed great determination to nearly hold on to the top spot they earned in last year’s championships. Join our crew by signing up to our mailing list. 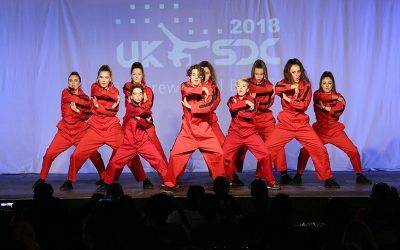 Keep up with everything UKSDC. Check out our blog to see our latest news and press developments or click the links below to follow us on Instagram & Facebook.